We’ve seen two of the most important forces that make it possible for us to consider words such as ‘reality’, ‘matter’, ‘universe’, etc. These forces are magnetism and gravity. Gravity is responsible for the elliptical orbits of planets; their shapes–’round’–are a result of this. Magnetism, which we’ve discussed with hands on activities using ferromagnetic fluids, is responsible for much of matter’s integrity. Both forces account for interactions between all kinds of hierarchies of matter: from atom to atom interactions; to the relationships that exist between galaxies. The following post is a gallery of pictures taken from the web. Most images are very recent, not older than a few weeks in many cases. There’s a unifying theme between all of them: Cosmology, the study of the Cosmos. Think about this word, ‘cosmos’, while we go over these images. Think about the forces that allow for the cosmos to happen; and keep in mind that we, human beings, are part of the cosmos. Images will be captioned; but I encourage you to do research on them. 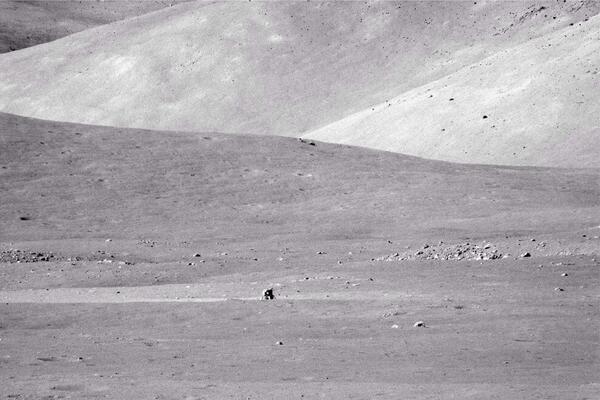 Apollo 17 Lander over 40 years ago, on the Moon. 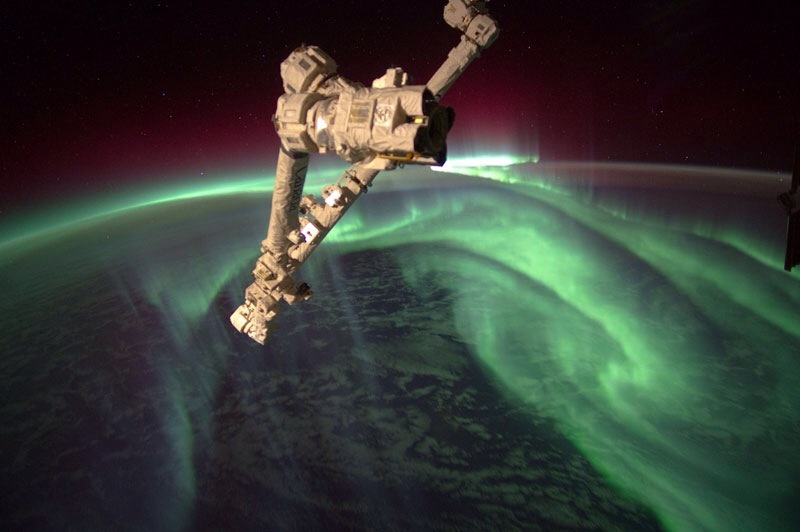 This picture of the phenomenon known as Northern Lights, which has a lot to do with magnetism, was taken by Puerto Rican astronaut, Joseph M. Acaba. This image of our star was taken a few days ago. 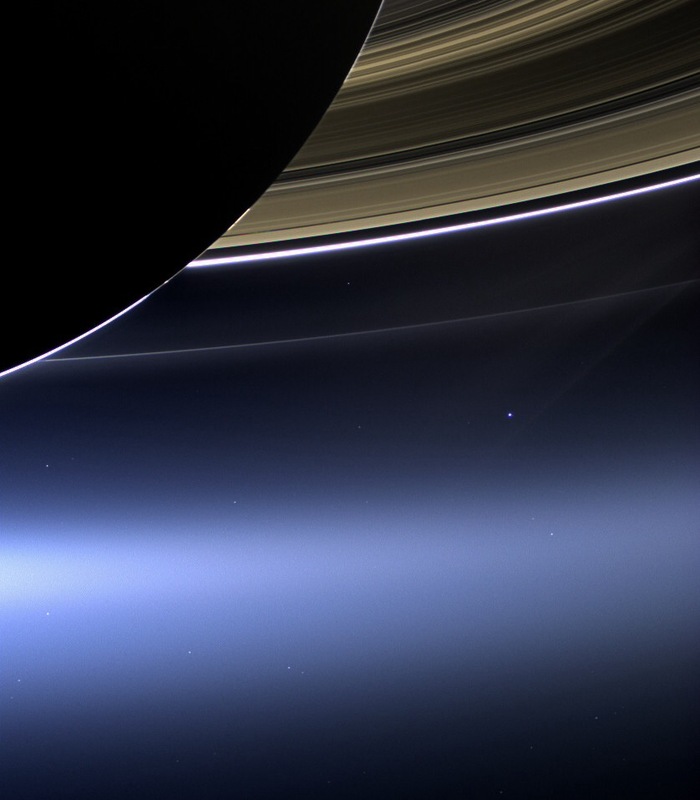 This one was taken by the Cassini probe before leaving our solar system behind. Can you see Earth? Another glorious view of Saturn delivered by Cassini. The sun is reflecting against its rings, made from the debris of an ancient moon. 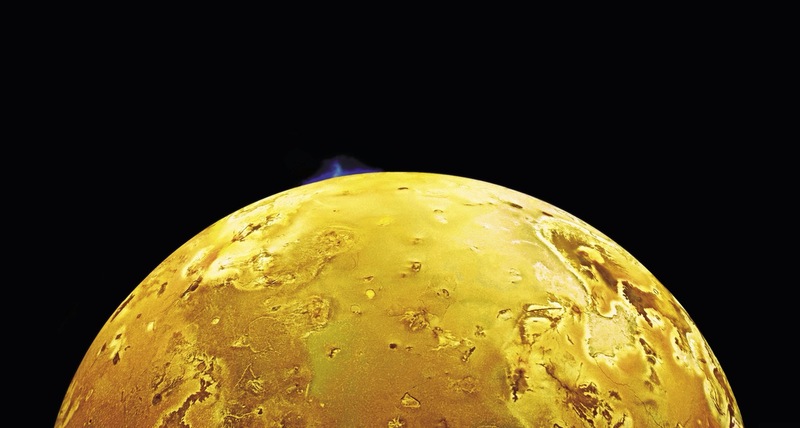 Speaking of moons, this one is Io, one of Jupiter’s moons, spewing an 80 mile high plume of water ice and sulfur dioxide. 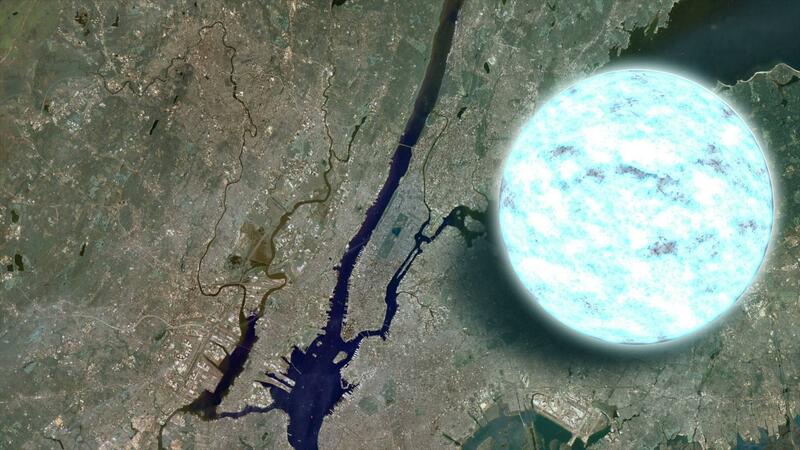 This an infographic of a neutron star, compared to the size of Brooklyn, NY. 300, 000 Earths can fit in its volume. Neutron stars are old and dense, but there’s always an origin story. And stars have its origins in Stellar Nurseries such as this one. The cosmos dynamic and, in many cases, violent. 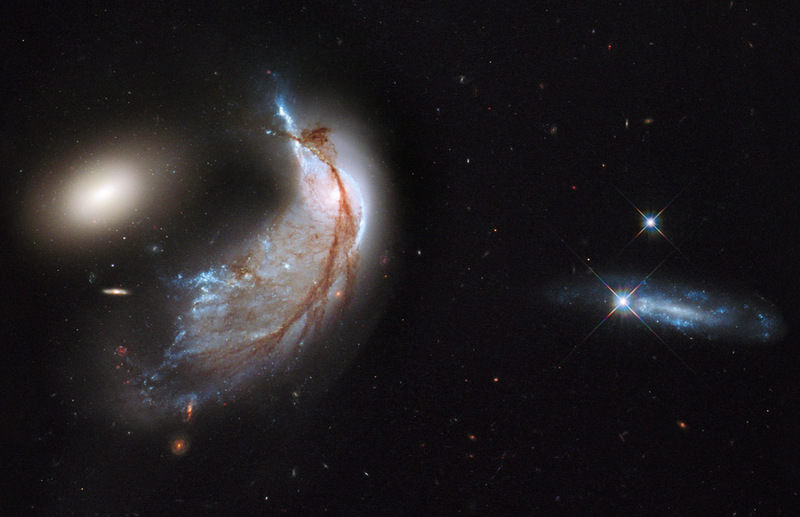 This image of Arp 142 shows a collision between galaxies. The culprit: gravity. There are many more amazing pictures of the cosmos (here, here, and here). Now that you’ve watched the images, and discussed Sagan’s quote: can you build a narrative from the images in this post? If so, how can this narrative be considered cosmology? This entry was tagged Cosmology, Science Club. Bookmark the permalink. While viewing this post, the picture of the two galaxies colliding revived a memory in my mind I would like to share. How can I put this gently… Hmmm… Well, let’s just say our galaxy’s closest neighbor, M31 (A.K.A. the Andromeda Galaxy), is bound to collide with the Milky Way. Scientists and researchers at N.A.S.A. have studied M31’s movement using the Hubble Space Telescope, concluding that the collision will be imminent about 4 billion years from now. During the collision, our sun is most likely going to be thrown out of our solar system into a region of space inside the two colliding galaxies. The solar system’s entities, such as the planets and dwarf planets, will be thrown out of orbit. But we shouldn’t worry too much; it’s very likely that the Earth won’t suffer any catastrophes during the time of the collision. -I restrained myself from using the word “impact” to describe the collision because, as I said, there is very little probability for any harm to be done to Earth. I mean, 1011 is the behemoth. It’s huge. Wow this pictures are really breath taking. Seeing this pictures made me think how lucky we are to live and how much technology has improved. Without the technological advantages that humans have created seeing this pictures would have not been possible. This reminds me of a post I saw in a newspaper which said that they had recently taken the first selfie in space. On the link below you can see what many believe is the first selfie in space. If we are able to take this amazing pictures and discover so much through them imagine what we will be able to do 300 years from know! Indeed. The same thing can be said of how much our understanding of Biology has improved in the last few centuries; but with the help of an instrument that does the opposite of the telescope: the microscope. Many of these images represent the nebulae/cosmos in a spiral form, which brings us back to the constant concept of the spiral in terms of biology. From this article I found, it interestingly stated: “The vast scale of the universe became clear in the 1920s when Edwin Hubble proved that “spiral nebulae” are actually other galaxies like ours, millions to billions of light years away.” (http://www.newscientist.com/article/dn9988-instant-expert-cosmology.html#.UxOfyym9LCR) I used the word interestingly because it’s a simply phrased way of making us see that we are not so isolated in this universe. Images like the ones in this post exhibit that in the big, bold universe we are a part of, millions and trillions of cosmos and other astronomical things coexist along with us. We belong to each other because we exist from each other; we are made of starstuff. Great link, Fabiola. Check out the Fibonacci sequence, also known as the Golden Ratio, and the Fibonacci spiral. Its incredible to see and imagine how big and how small the world is. When humans get to see this pictures and understand the magnitude of the universe we can conclude that we are tiny, that humans are just a very very small pieces of this puzzle. In the other hand when we study the puniness of other objects in the universe, humans can be seen as huge. But how big are we really? After doing some research I found out that that question will remain unanswered, that the universe is infinitely large and infinitely small. Although sizes can change everything is related, even form the huge thing in the universe and the small things have the same patterns and essentially work in the same way. In the link below we see how a brain of a small animal like a rat is extremely similar to the huge universe. The higher the level of complexity, the more the patterns resemble networks. The brain, the Internet, the universe, social media, social interactions, etc., all can be studied with the knowledge we have of networks. This photos are amazing! My favorite was the one about the northern lights, it’s something i’ve always wanted to see. The most interesting one for me was the one of the tomato. I searched for information of the photo and it said the tomato had traveled with them two weeks at the time the photo was taken. Some people said the tomato had to be green before it went to space in order for it to not be spoiled, but others said that the tomato had to be already ripe on Earth and that it had not spoiled because in space there is no ethylene, which is necessary for for fruits to rot. What do you think? The first I read this post was because of the different pictures of the cosmos. The one that most chocked me was the one with the tomato orbiting the Earth. I found it rare because there couldn’t be a tomato orbiting the Earth at 4.8 miles per second but I looked more into it and found out that it was located in an International Space station. 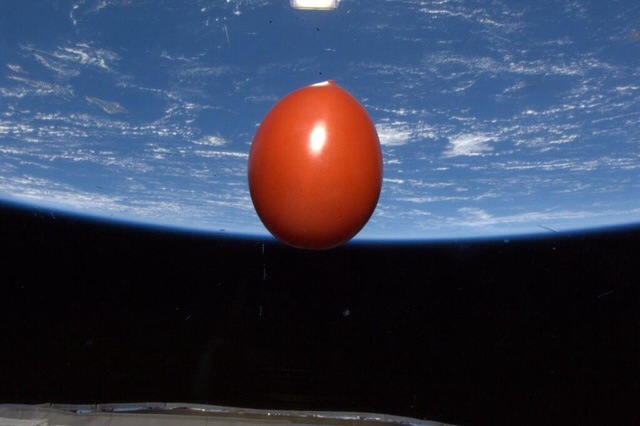 As I was searching i found this post funny: http://sploid.gizmodo.com/why-is-this-fresh-tomato-orbiting-in-space-at-4-8-miles-1470366516. It said some reasons of why the tomato might be orbiting the Earth. 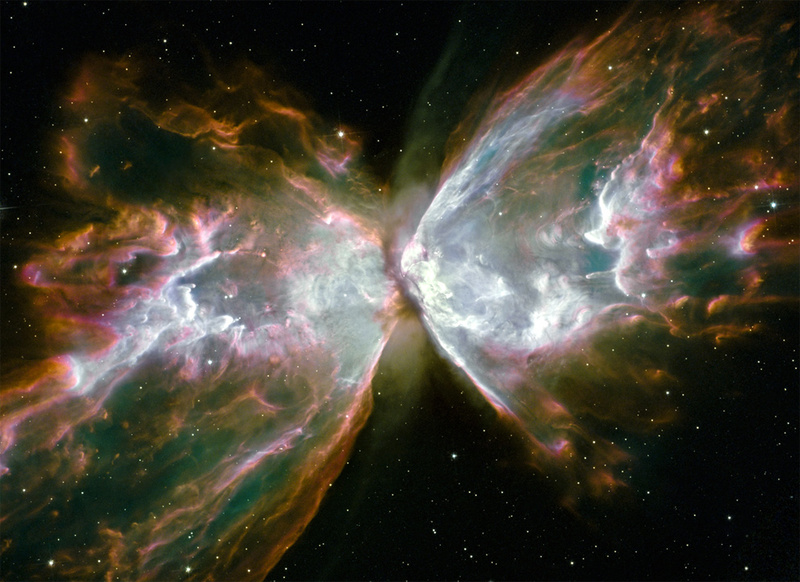 The other picture I found interesting was the Butterfly Nebula because it had one of the largest stars in the middle. The quote by Carl Sagan made me think of different parts in our body that are made by other materials like amino acids which form proteins and other pieces like that one that make up our body. Next Sunday (March 9th) is the premiere of Cosmos, hosted by Neil deGrasse Tyson. The show is a much needed update to Sagan’s Cosmos, which aired in the early 1980’s. The show will air on National Geographic and the Fox network. All these pictures are amazing. It is incredible to see all the things that happen in space. For me talking about space is a very interesting topic. I liked the photos about the nebulas. They are very colorful and different. Nebulas are formed when portions of the interstellar medium collapse and clump together due to the gravitational attraction of the particles that comprise them. I made some research about nebulas and found this site with some interesting facts, photos, and a video. 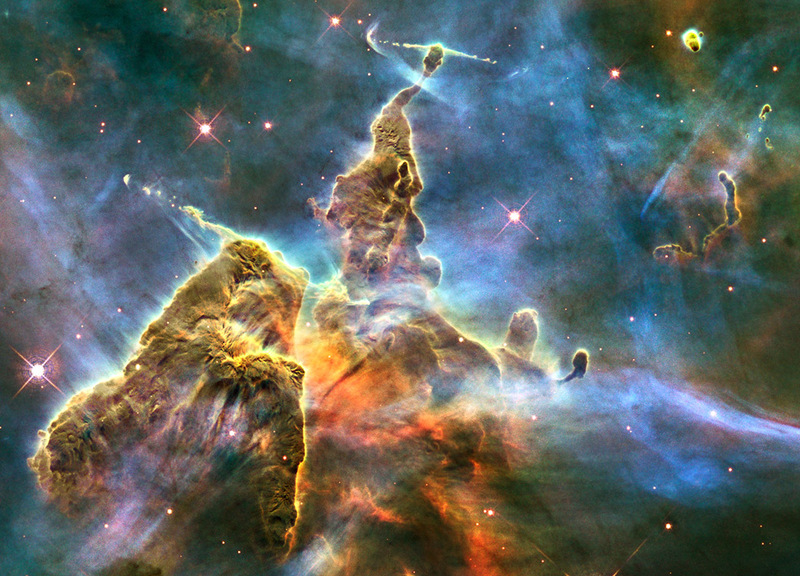 Nebulas are furnaces where the ingredients for all matter are made. All of the pictures you posted are a lot of examples of the diversity of space and the beauty and amazement of each and one of them. Space is very special, it is what created the world and it also has many things that we don’t know yet. I looked up information of the Butterfly Nebula which is one of the pictures you posted and found interesting facts about it that i didn’t know, such as its surface is 400,000 degrees fahrenheit and that it stretches for more than two light years. “Butterfly Emerges from Stellar Demise in Planetary Nebula NGC 6302” This is the title that the picture has in NASA’s page. Quite poetic, don’t you think? This pictures are the reason why technology is a positive thing in our world. ALL we here is how technology is affecting our society, but when I was seeing this pictures I distanced myself from other thoughts that were going around in my mind. they are really breathtaking. My favorite one is the one of the northern lights, I cannot even described what it made me feel. This is all posible thanks to technology, who would have ever imagined that someone in SPACE would tweet their view from up there? It really make you think outside of the box. The way we think revolves around the Earth that we live in, but we should start analysing, how different would our lives be if we were able to make life sustainable in outer space? I really believe in that possibility 100% and science should continue on investigation about outer space and the cosmos. That is one thing that could really change the history of humans. The see the Northern Lights phenomenon is definitively in my bucket list. 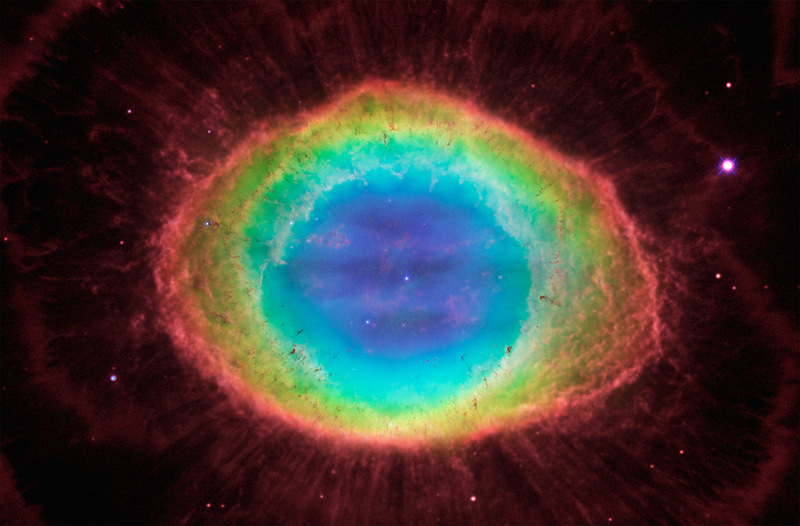 They really are beautiful, I especially liked the Ring Nebula. I loved how all of the colors diffuse into each other, it kind of looks like a circular rainbow but the colors are more intense. I also found that the picture of the tomato was kind of cool. I have eaten the freeze dried ice cream and I understand why they are so happy to have a single fresh tomato. I didn’t taste horrible like most people believe but it wasn’t good either. I found this curious so I looked for some information on space food. Apparently it has been a work in progress for quite some time. They use magnets and springs to keep it from floating away. It sounds like a fun experience. There truly is beauty in our universe. It is definitely astonishing to think that we are made of the universe, because we are the universe. Science proves that 93% of our body mass is stardust since every element in the periodic table is mostly stardust except for hydrogen. This site has a video about Neil DeGrasse Tyson talking about “The most astounding fact” which is that humans are the universe because we are made of stardust. 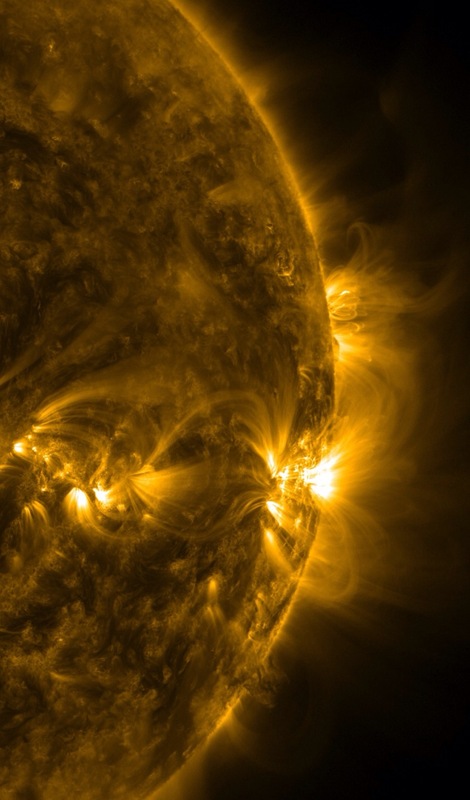 As I saw these images, I wondered about the temperature of our surrounding universe. I found a video that talks of space temperatures. An impressive temperature of -454 F is found in some of the known spots of the universe. The scientists at NASA intend to conduct an experiment to create, artificially, an atomic refrigerator, where our previously known concepts of solid, liquid, and gas are no longer relevant and thus creating new forms of quantum matter. These pictures are so beautiful! Its amazing how big and mysterious the universe still is, these pictures made me think that we cant be the only ones in the universe. Another thing that impressed me is the fact that we are made from the universe, “stardust” that is because almost every element on Earth was formed at the heart of a star. I found this article very interesting. The “stardust” phrase should remind us of the acronym “SPONCH”. The universe is strange. And that is a good thing. This post brings a lot of topics into mind. One of them is how large and how small we are. For example, the neutron star picture is extraordinarily breathtaking. It is very impressive to see that Earth can fit 300,000 times in a star that is more or less the size of Brooklyn! Another topic that comes to mind is the most famous one. It’s the one with this question – are we alone? It seems very impossible to believe that we are the only living things when there is an infinite amount of stars and planets and galaxies. It is very implausible, or difficult to believe, that we are the only ones out of trillions of planets and more! In fact, today’s modern technology isn’t sufficiently advanced to send a satellite of something out of our galaxy, therefore we cannot infer that we are alone. These pictures are absolutely beautiful; the one that really catches my eye is the one of the Ring Nebula, it literally looks like a portal into another universe. Looking at these images made me think about the universe and for some reason the first question that popped in my head what the smallest thing in the universe was. My understanding had always been atoms, or electrons, but was surprised to find and article discussing a few different theories regarding the smallest thing in the universe, including the singularity at the center of a black hole. A very good question; possibly one of the oldest questions out there. And these are usually the good ones. Space is one of the most complex topics in science but i find it very interesting. it is just great how many things are occuring in space and we have no idea about it. seeing all these pictures lets me know how technology has advanced. I find the nebulas so interesting and rather strange but very spectacular. I would like to see them in closer once in my life if i ever get the chance. It is stunning to see the universe that surrounds us and the creations of science. The breath taking beauty and science behind these natural phenomenons are absolutely amazing. For me, the most interesting picture was the one of the neutron star so I decided to look it up. The NASA website says that a neutron star is a compact object that is created in the core of stars during super nova explosions. They are created when giant stars die in supernovas and their cores collapse, with the protons and electrons essentially melting into each other to form neutrons; it crushes together every proton with a corresponding electron turning each electron-proton pair into a neutron. The neutrons, however, can often stop the collapse and remain as a neutron star. The most fascinating fact about them is the extreme density they have. Even though they are about 10 miles in diameter, they are more massive than the sun. If put on Earth, a sugar cube of neutron star would weigh about 100 million tons. Cosmology is the branch of astronomy involving the origin and evolution of the universe. Cosmology is “the scientific study of the large scale properties of the universe as a whole. Many of the earliest recorded scientific observations were about cosmology, Cosmology has exploded in the last 20 years with a lot of new information about the structure, origin and evolution of the Universe obtained through recent technological advances in telescopes and space observatories and basically has become a search for the understanding of not only what makes up the Universe but also its overall architecture. How cosmology is related to the Universe? What is the importance of cosmology in the world? In the next video you will see interesting images about what is cosmology and how the technology has evolved during the time. These pictures are so incredibly amazing. I can’t even begin to fathom how it is possible that these celestial phenomena actually occur. Out of all of the pictures of the nebulae, the one that caught my attention the most was the horse head nebula and after making a bit of research I found out that this nebula is found within the constellation of Orion, and for some reason this really amazes me because it’s like a picture only better because when you zoom in you see all these other details you couldn’t see before and its like having a completely different picture. I saw this video and thought it was interesting. It explains how these constellations and nebulae are a lot more complex than what meets the eye, and how viewing them with different filters exposes details that are not seen at plain sight. It put things into perspective, doesn’t it? 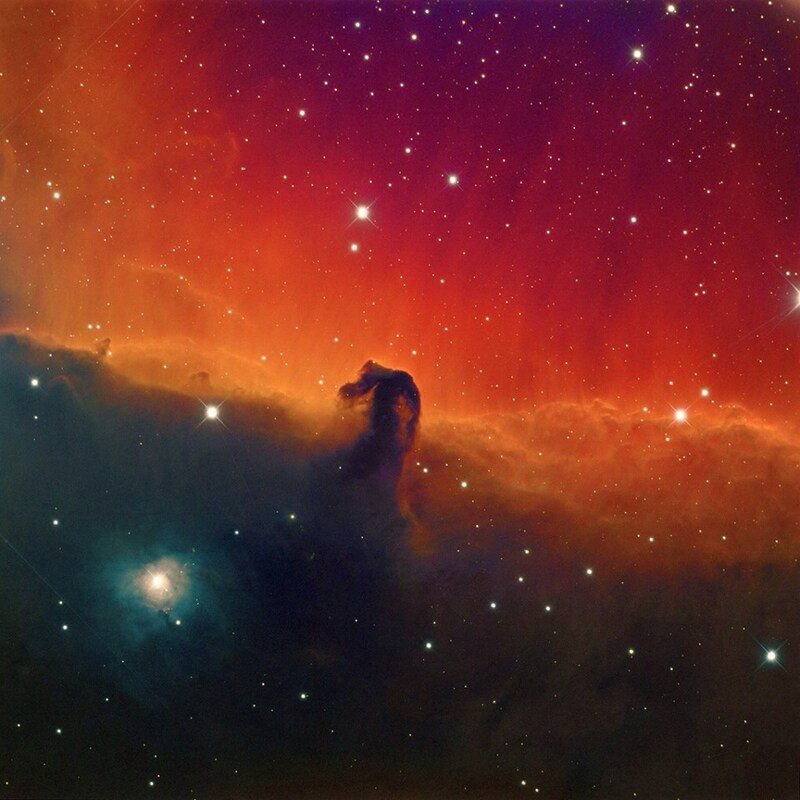 The image of the horsehead nebula was taken by an amateur astronomer, It is not from NASA. Cosmology has always been one of my favorite subjects in science. It really amazes me how big the universe is and its really scary to think that there is so much unknown out there. The universe is full of wonders and they are all so beautiful. The universe is truly filled with mysteries. I’ve always liked to gaze at the stars because it made me wonder what could be hidden or undiscovered in our immense universe. I became more interested in the topic and new beautiful pictures like these augmented my curiosity. The quote mentioned in this blogpost caught my eye and made me think about us being “star stuff “. I decided to research more about origin; because we contain star stuff, I researched about the origin of stars. Stars are born in stellar nurseries, which are molecular clouds that can be found abundantly in the arms of spiral galaxies. A long period of time lapses during the process of creating a star, and a star’s birth is possible due to gravity’s aid. I agree. We can plumb the deepest depths of our oceans with virtual submarines, or have a closer look at Europa’s volcanoes, with the help of a few algorithms that power search engines such as Google. While observing these amazing pictures, even though all are mostly breath taking, there was one that caught my attention the most. The first picture about a Stellar Nursery, the one that talks about the origins of Neutron stars, really got me curious in finding and understanding in deeper meaning what exactly was the origin of stars. As I searched for the Stellar Nurseries (also known as Molecular clouds), I learned that this is the origin of stars, but that this formation is only possible because of gravity. Since this blog post first begins talking about gravity, this is where I achieved to tie everything together. Star formation does happen within the Stellar Nurseries, but this is accomplished when an imbalance is reached between the surrounding gas pressure wanting to collapse the cloud surpasses the interior gravitational force working oppositely, trying to avoid this collapse. Then the core of the cloud begins to collapse under its own gravity, causing the last outcome, which is the formation of a star. Here we can understand other ways in which gravity, and even something’s own gravity, can help or even collapse, triggering countless and different outcomes. This blog post also helped me learn and understand that the universe has much more details than what meets our simple, human vision. This link I posted shows the product of an experiment made for us to be able to see interstellar dust grains, even though they are invisible to the human eye. In this post there are presented many pictures of our vast and wondrous universe. Once you look at these images it really puts things into perspective as if you’re seeing them for the 1st time. As I researched for more information regarding the nebulae and galaxies, I found an article on National Geographic regarding the Milky Way. As this school year kept progressing, I quickly realized that my favorite posts were those regarding the cosmos, more than any other topic. Sometimes we worry so much about the most insignificant things, and I find it to be a good idea to step back and remind ourselves of all the wonderful and fascinating things out there, as captured in all these wonderful images. Thank you for posting them, I look forward to seeing more! I feel like that adds to the value of cosmology, being that its spiritually connected to humans. We can perceive auras and energy, and all sorts of mystical and magical feelings; that are concrete in the form of cosmos? I recently found out that Jupiter’s moons have lakes, rivers and oceans… the thing is they are made mostly of mathane. Not gas, but frozen solid. I also read that a methane wave was discovered in Titan, Jupiter’s biggest moon. It is also known it has “rain cloud”. Here in earth these frozen bodies would be just gas (farts basically). These moons are called Jovian moons and they are of much interest to astrobiologists. It is possible that one of them is harboring some form of life. Space is vast and we can see new things everyday if we just had the means and technology to do it. I believe that one day we will reach a new technology that will allow us to explore new places in our galaxy but every day we take a new step towards this goal and one day we will reach it. This article shows what NASA has found until today and it is surprising because since we were kids we only new about planets like Saturn and Jupiter but now we have found new planets and stars and it is just breath taking. As recently as yesterday, rumors began to show up on the web that a new exoplanet exists in the goldilocks zone of a relatively close star. This planet is just about the size of Earth: 1.2 times its size. The first thing that popped up in my mind while reading this post was: Wow, I’m very small, even if I am taller than most people in the classroom. Then I remembered the chapter we did on cells and again thought: Wow, I’m huge. This says a lot considering all the things bigger or smaller than humans, it makes you wonder what to do with all this technology; should we use it to make huge things? or should we use it to make tiny things. Well, Why not both? We can make a VERY tiny submarine to explore the world of cells, the same as we can make a HUGE space craft to explore the universe faster. Neil deGrasse Tyson’s Inexplicable Universe documental series is quite intriguing. A very interesting thing I have learned through the first 4 episodes is the ironic name atoms have. Atom=indivisible. But we can divide atoms into electrons, protons, and neutrons. And protons and neutrons are made up of up and down quarks. There are three other particles that transmit forces: photons, gluons, and w & z particles. Don’t forget the Higgs boson, which is responsible for the mass of the other particles. All of the aforementioned particles compose the Standard Model of Particle Physics. Throw in gravity and suddenly you have all of what we know about the universe. For all we know, there may actually be more than 3 regimes of matter. And so, at least to me, it is apparent that the more we learn about the universe, the more complex, complicated, elaborate, mind-boggling, etc. it seems. After all, Quantum Physics/Mechanics throw common sense out the window. There is still much for us to learn. To answer the post’s question: One could most certainly build a narrative from those images. And it would be considered cosmology because it would be about the origins of not only us but the universe. I like to think of cosmology as the study of the composition of things, and their origins. In other words, I think of cosmology simplified into the following equation: physics + chemistry + biology (and all of their respective subdivisions and sub-branches of study) = cosmology. As a matter of fact, a cell can be considered its own “little” universe/cosmos. So can the study of cells be considered cosmology? https://www.youtube.com/watch?v=EjOS2QXeTfA Hopefully no tumben este video. It is available in Netflix. While searching for more recent pictures of space I found a picture that was taken with the Hubble space telescope which amuses me because the image of the globular cluster IC 4499 lies about 55,000 light-years away, in the Milky Way’s outer halo. This makes me realize how much has technology evolved and makes me want to know how much better it will be in some years from now. The subject of the space intrigues me the most of all the fields of science. Carl Sagan’s quote made me realize that the things we’re made of, starstuff, were formed billions of years ago. On the matter of the images, the progress of technology and the dedication of scientists allowed for these awesome images to be taken. For example, one of my favorite space photographs, “Pillars of Creation”, which is located in the Eagle Nebula and may or may not be destroyed but we will not know because the finite speed of light will reach us in about 1,000 years meaning that it should be visible in that amount of time. That image can be considered time traveling, in the sense that we are seeing how the Pillars of Creation looked about 7000 years ago. We are literally seeing the past. I have always had a fascination for space. The universe is so huge that there are millions of galaxies and planets that we haven’t discovered yet. It’s so huge that there could be other life forms out there, made of the same material we are. Also, by seeing the pictures of the nebulas and the galaxies it made me realize that it is amazing how little we are in comparison to the universe.